Make it easy and affordable for everyone in your business to communicate around the globe. Translate Client-Server gives you the ease of use of our desktop products with the control and efficiency of central administration. Create new dictionaries with your own terms and translations and centrally administer them. Details: Quickly and easily add words or translations not already in the main or subject dictionaries. 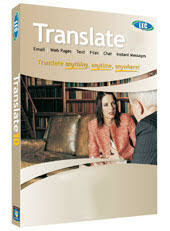 This allows you to increase the accuracy of translation and create a dictionary tailored to your needs. Translate the widest range of file formats in the industry, including PDF, RTF, DOC, HTML, and XML. Pricing is determined by configuration, number of client software copies installed, maximum number of simultaneous users, and number of language pairs. Prices start at $3,000. Need more information or a quote? Fill out the form below. We usually respond within the same business day.